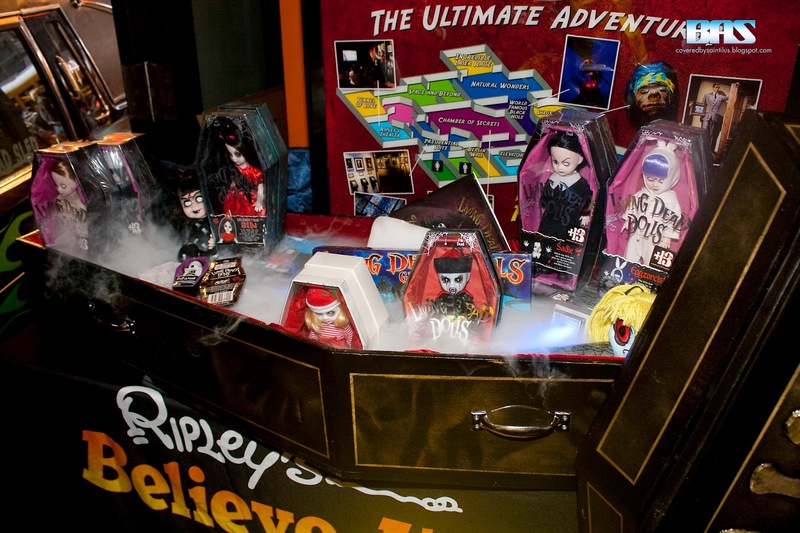 On Wednesday April 16th, 2014, Mezco Toyz celebrated the sweet 16 of their Living Dead Dolls line at Ripley's Believe It or Not! in Time Square. As part of the celebration Mezco Toyz decided to preserve the dolls' legacy in the most unique and unusual time capsule in the form of a "toe pincher" casket. Crafted in the style of old woodworking artisans, the casket features an expertly appliqued burnished metallic Living Dead Doll symbol on the lid. 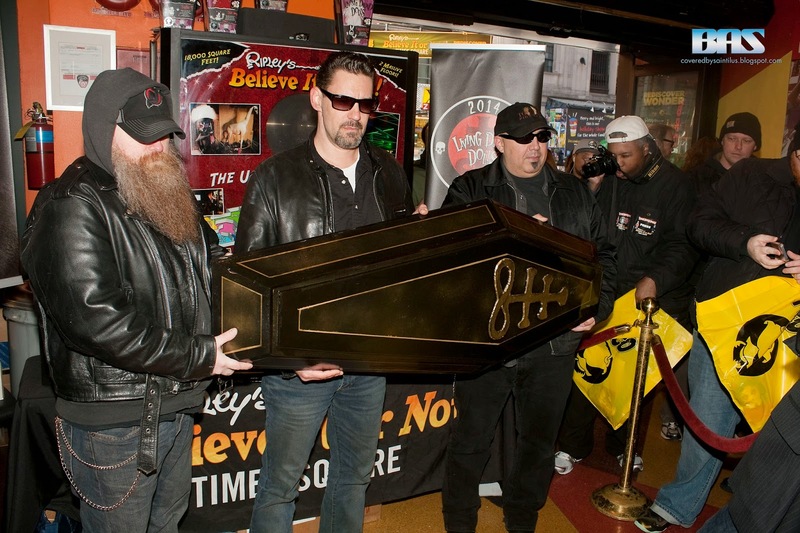 Instead of burying the time capsule, Mezco will place it in a mausoleum. 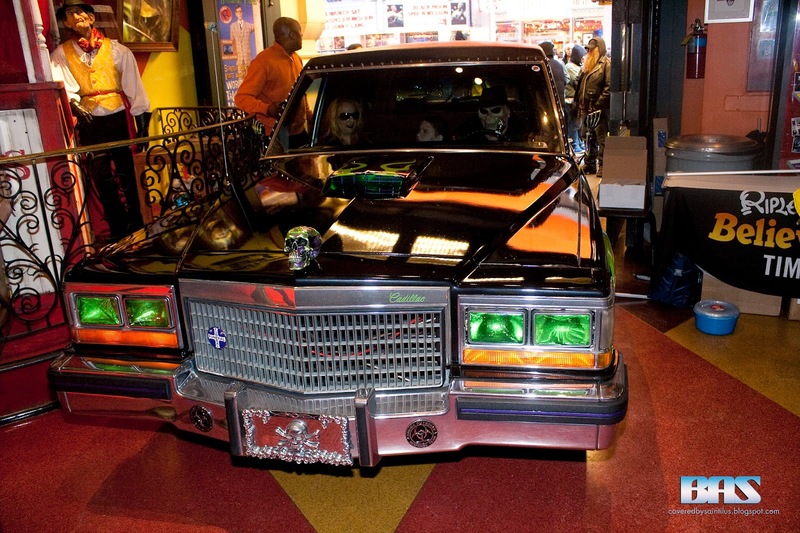 To kick off the event, The Cadaveric Superior Hearse by Joe Baxter and Reaper's Rides Hearse Limo service "Hearsula" drove into Ripley's Odditorium delivering the casket in style. 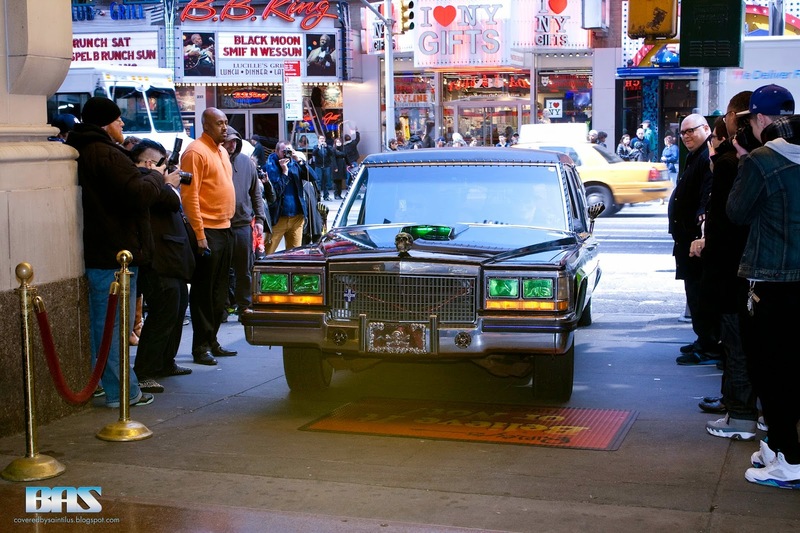 "Hearsula" remained on site throughout the event, allowing press and fans to take pictures of and with the vehicle. 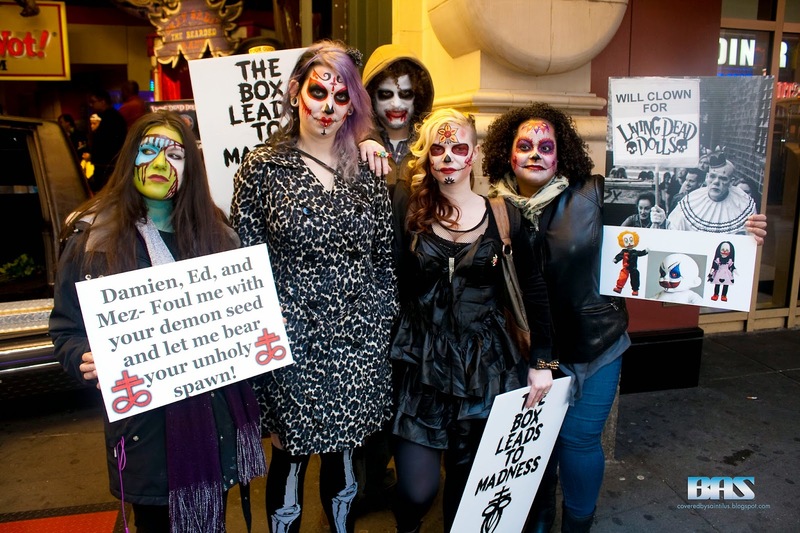 Joining the festivities were the creators of the Living Dead Dolls; Ed, Mez, and Damien. 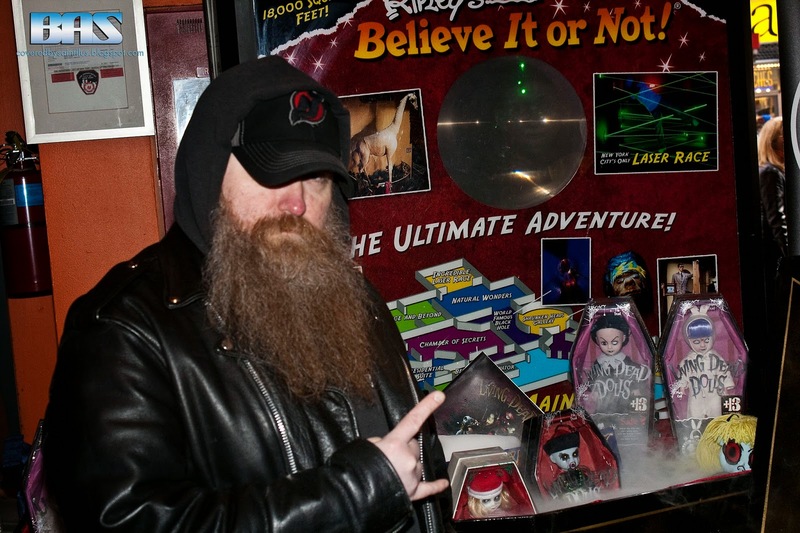 Hailing from NJ, the Living Dead Dolls creators had no idea that back in 1998 they would have created a nationwide phenomenon . A property so huge and popular that it holds the world record for "Longest Continually Running Series of Collectible Horror Themed Dolls". An award which was presented to them at this years Toy Fair. While this was a press event, fans in attendance received a special limited edition commemorative coin made in honor of this occasion. Press also received that as well a special creepy cuddler. As part of the promotion Mezco had a few painted faces out and about inviting fans to come in and check out the event.